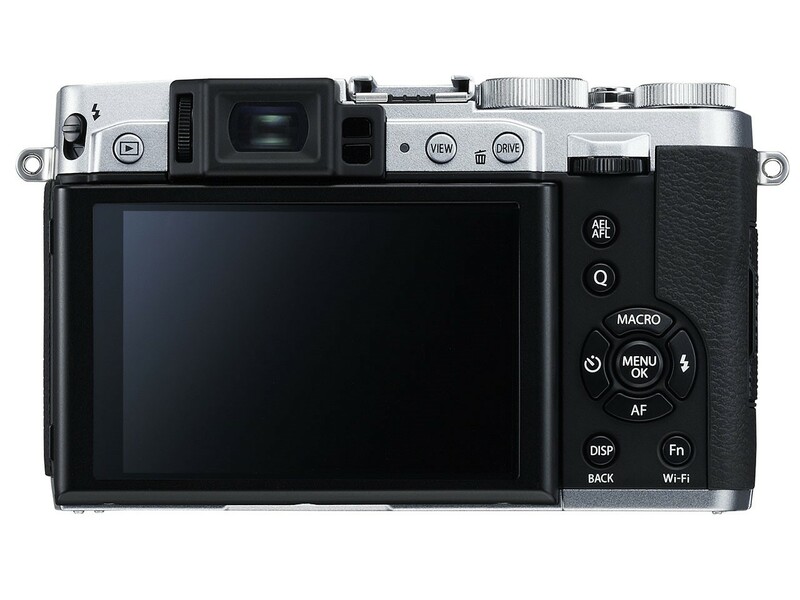 The new FUJIFILM X30 uses an innovative Real Time Viewfinder with a large magnification of 0.65x*2 and a display lag time of just 0.005*3 seconds that is the largest and fastest viewfinder in its class. It offers a clear, high-definition Live View with a new 2.36M-dot organic EL viewfinder and dedicated lens that improves visibility by automatically controlling the viewfinder’s brightness according to the ambient light levels. The Live View display can also be set to reflect shooting conditions, or offer a natural view close to what is seen with the naked eye, while the viewfinder’s eye sensor automatically switches the visible information when the camera is positioned vertically or horizontally. The FUJIFILM X30 uses the award-winning X-Trans CMOS II sensor with phase-detection AF and the EXR Processor II to give photographers high-speed performance, amazing resolution and low noise for extraordinary images. The X30’s phase-detection system focuses in just 0.06*4 seconds, has a startup time of 0.5 seconds*5, shutter time lag of 0.015 seconds, and shooting interval of 0.5 seconds. The FUJIFILM X30’s lens is made up of 11 glass elements in nine groups, including three aspherical lens elements and two ED lens elements. The result is an ultra-bright lens with a wide-angle maximum aperture of f/2.0 and telephoto maximum aperture of f/2.8 for beautiful, high resolution images. Additionally, the X30’s lens incorporates seven diaphragm blades for stunningly soft ‘bokeh’ to make your subject stand out from the background. The X30 has an optical 4x manual zoom lens that allows quick and precise control over composition. The X30 also has a unique image stabilization mechanism that shifts five lens elements to compensate for camera shake by up to four stops*6. The innovative image stabilization system also effectively prevents motion blur while stopping vignetting and loss of image resolution that usually results from shake compensation. The new FUJIFILM X30 now includes two rings on the lens: a manual zoom ring and control ring. The control ring is positioned behind the manual zoom control and allows the immediate change of aperture and shutter speed settings while fine-tuning image composition. Functions such as ISO sensitivity, film simulation, white balance and continuous shooting can be assigned by pushing the control ring setting button at the front. Two top-plate dials and six function buttons positioned on the back of the body also offer faster access to regularly-used features for a more instinctive operation. Fujifilm’s unprecedented image quality has been cultivated through the development of photographic films over the past 80 years and helps to reproduce warm skin tones, bright blue skies and rich green trees, just as photographers remember the scene. The X30 features the new ‘Classic Chrome’ film simulation mode, which delivers muted tones and deep color reproduction. Users can also choose from eleven different modes that simulate the effects of traditional Fujifilm films. These include color reversal film effects (Velvia / PROVIA / ASTIA/CLASSIC CHROME), professional color negative film (PRO Neg.Std / PRO Neg.Hi), monochrome filters (MONOCHROME, Ye filter, R filter and G filter) and SEPIA. Leather case LC-X30 – made of premium genuine leather. Lens Hood and Protector Filter LHF-X30 – protective filter with Super EBC multi-layer coating technology. Available in black or silver. The dedicated lens hood features slits to ensure a full angle of view for the viewfinder. Shoe Mount Flash – three types of FUJIFILM external flash, capable of high-precision TTL auto flash control: EF-20 and EF-X30 with the guide number 20, and EF-42 with the guide number 42. External stereo microphone MIC-ST1 – for recording real sound with impact to go with premium-quality images and Full HD movie.